Larry Hendrickson (1942-2018) will remain in our hearts as the founding father of the Hendrickson Foundation. The foundation will continue based on leadership of his son Danny Hendrickson and other family members and the outstanding executive board that have been inspired by Larry’s focus on Changing Lives with hockey. Larry’s long hockey career involved a balance between high school coaching and hockey development programs. Larry’s head coaching started at Richfield High School in 1973, where he inherited a talented group of players that went to the State Tournament finals in 1976. Moving to Apple Valley in 1980, and again inheriting a talented team, which went to their first State Tournament and took 4th place in 1981. Returning to Apple Valley in 1995, another talent group was waiting, who won the Minnesota State Championship in 1996. Larry returned to assistant coaching in 2003-05 to assist a growing program at Buffalo High School. From 2005-07, Larry was asked to come to Benilde-St. Margaret’s High School to lead the hockey program in their transition from Class A to AA, which proved highly successful. In the hockey development area, Larry has worked at several levels. He coached the Vulcan’s Organization’s first national champion Junior-A team in 1968. At this point, Larry started a long career as an off-ice development instructor for USA and Minnesota Hockey, which included many player clinics, Select Camps, and coaches certification clinics. He served as strength and conditioning coach for the 1980 USA Olympic team, and the Minnesota Gophers hockey team in 1985. He was the Minnesota North Stars training coach in 1986-87. He served as Shattuck-St. Mary’s AAA Midget and school Training Coach in 1997. Recently, Larry was the Program Director for the Herb Brooks Foundation for four years. 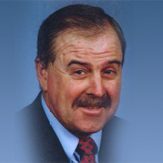 Larry was inducted into the Minnesota High School Hockey Coaches Hall of Fame in 2010.